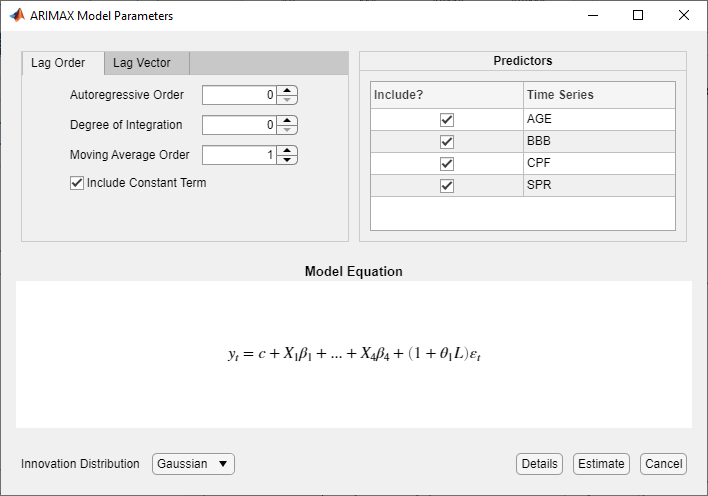 This example shows how to specify and estimate an ARIMAX model using the Econometric Modeler app. The data set, which is stored in Data_CreditDefaults.mat, contains annual investment-grade corporate bond default rates, among other predictors, from 1984 through 2004. Consider modeling corporate bond default rates as a linear, dynamic function of the other time series in the data set. At the command line, load the Data_CreditDefaults.mat data set. For more details on the data set, enter Description at the command line. 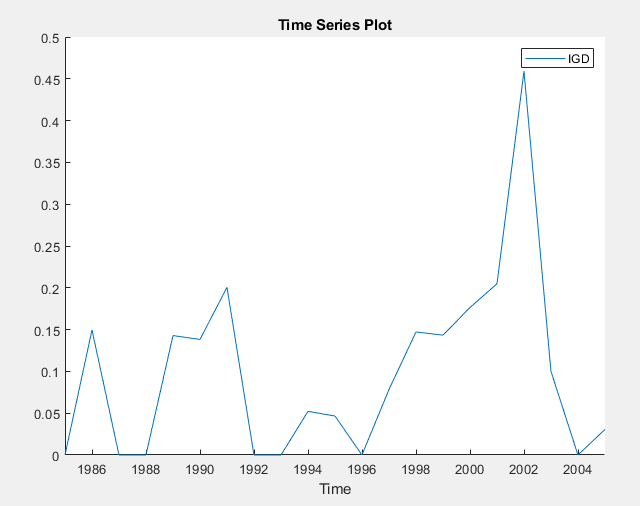 The variables, including IGD, appear in the Data Browser, and a time series plot containing all the series appears in the Time Series Plot(AGE) figure window. In the Data Browser, double-click IGD. A time series plot for IGD appears in the Time Series Plot(IGD) figure window. IGD appears to be stationary. On the Econometric Modeler tab, in the Tests section, click New Test > Phillips-Perron Test. On the PP tab, in the Parameters section, set Number of Lags to 1. The test results in the Results table of the PP(IGD) document. The test rejects the null hypothesis that IGD contains a unit root. 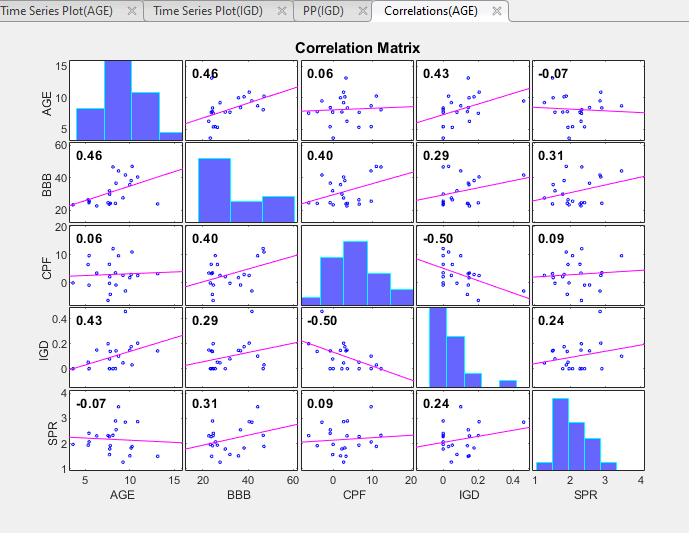 Plot the pairwise correlations between variables. Select all variables in the Data Browser. Clicking AGE, then press Shift and click SPR. A correlations plot appears in the Correlations(AGE) figure window. All predictors appear weakly associated with IGD. You can test whether the correlation coefficients are significant by using corrplot at the command line. In the Data Browser, select all variables. 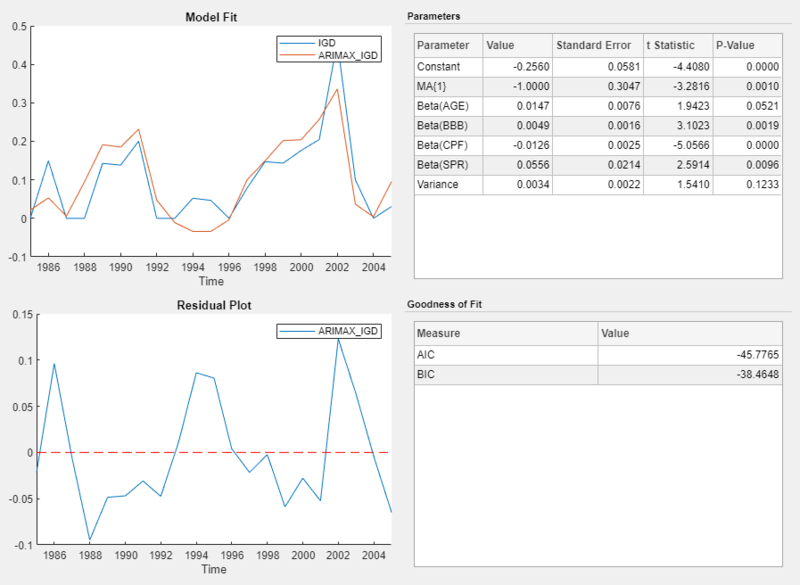 Click the Econometric Modeler tab. Then, in the Tests section, click New Test > Belsley Collinearity Diagnostics. Tabular results appear in the Collinearity(AGE) document. None of the condition indices are greater than the condition-index tolerance (30). Therefore, the variables do not exhibit multicollinearity. Consider an ARIMAX(0,0,1) model for IGD containing all predictors. Specify and estimate the model. In the Data Browser, click IGD. In the models gallery, in the ARMA/ARIMA Models section, click ARIMAX. In the ARIMAX Model Parameters dialog box, on the Lag Order tab, set Moving Average Order to 1. In the Predictors section, select the Include? check box for each time series. Click Estimate. The model variable ARIMAX_IGD appears in the Models section of the Data Browser, and its estimation summary appears in the Model Summary(ARIMAX_IGD) document. At a 0.10 significance level, all predictors and the MA coefficient are significant. Close all figure windows and documents. Check that the residuals are normally distributed and uncorrelated by plotting a histogram, quantile-quantile plot, and ACF of the residuals. In the Data Browser, select ARIMAX_IGD. On the Econometric Modeler tab, in the Diagnostics section, click Residual Diagnostics > Residual Histogram. Click Residual Diagnostics > Autocorrelation Function. 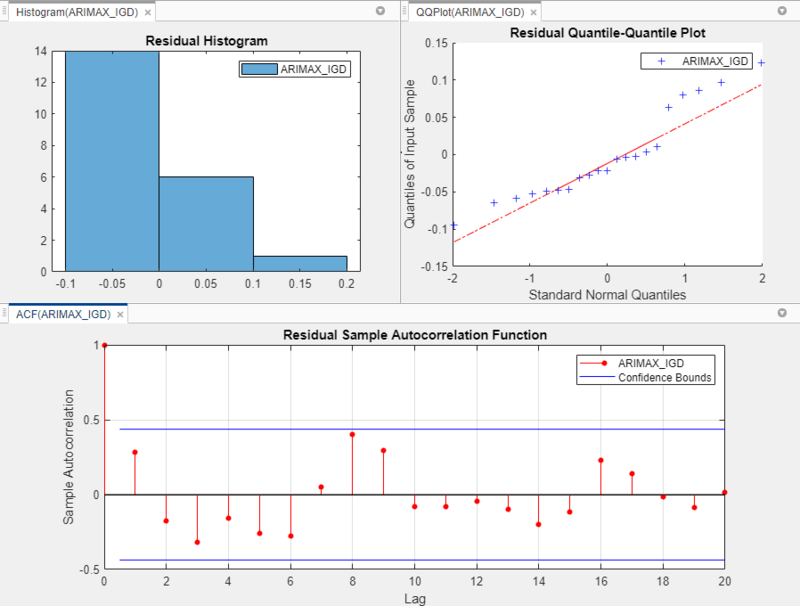 In the right pane, drag the Histogram(ARIMAX_IGD) and QQPlot(ARIMAX_IGD) figure windows so that they occupy the upper two quadrants, and drag the ACF so that it occupies the lower two quadrants. The residual histogram and quantile-quantile plots suggest that the residuals might not be normally distributed. According to the ACF plot, the residuals do not exhibit serial correlation. 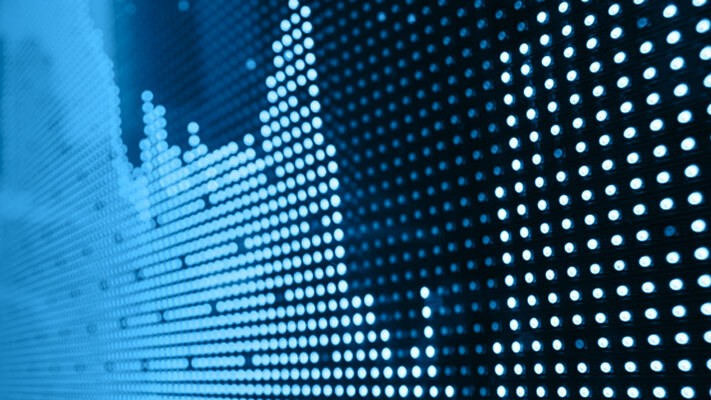 Standard inferences rely on the normality of the residuals. To remedy nonnormality, you can try transforming the response, then estimating the model using the transformed response.